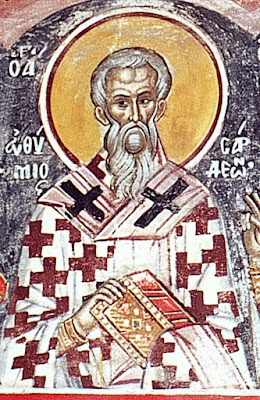 On this day we commemorate our Holy Father Euthymios the Bishop of Sardis and Confessor, or we should rather say, the Hieromartyr. You have attained the fullness of unceasing cheerfulness. 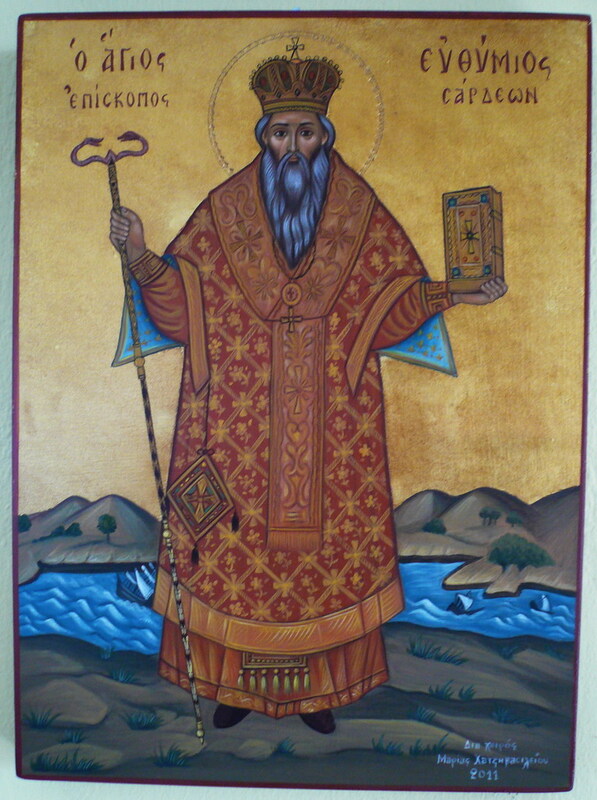 This Saint lived during the reign of Constantine and Irene (780-797). At first he shined as a star in his solitary conduct. 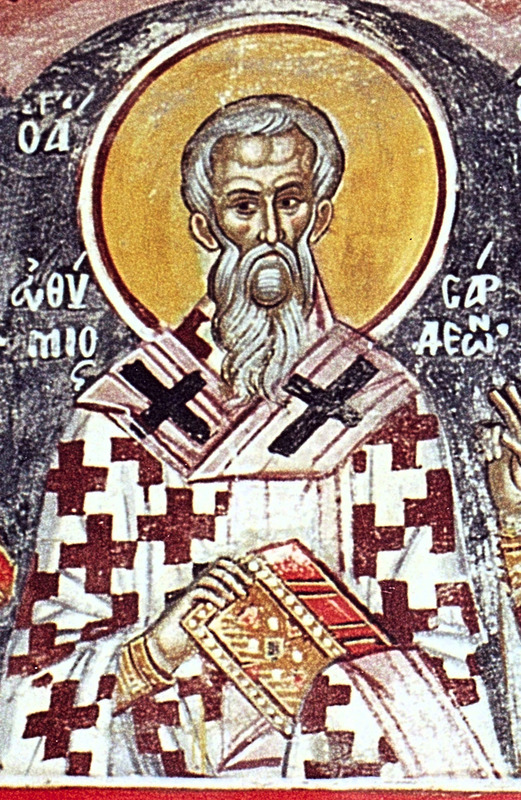 Later when he became a Bishop, he refuted by his authority the heretical Iconomachs at the Second Synod of Nicaea, namely the Seventh Ecumenical Synod (787). Seeing that he held his ground, the emperors sent him as an ambassador to various embassies. 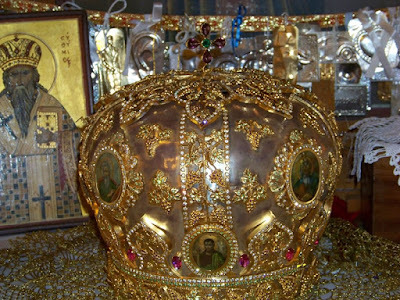 Because Nikephoros Staurakios took imperial authority in 802, and he lived his life lawlessly, the Saint rebuked him. Therefore he was exiled to Pantelleria in the West, together with other Orthodox Bishops. From then till the time of his confession, it was a period of twenty-nine years, during which the thrice-blessed one was unable to receive his Metropolis and sit in his see. When the emperors who held power were removed from within, and the beastly-named Leo became emperor, namely the Armenian, in 813, the Saint was brought back from exile, and he was questioned by him if he venerated the holy icons. Because the Saint applied his habitual boldness, and anathematized the emperor while standing before him, the tyrant became enraged, and exiled the Saint to Assos, which is also called Apollonia, and is located near Adramyttion. 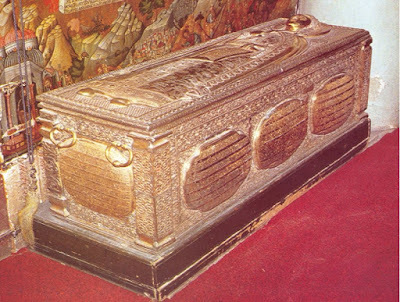 * His relics were held in great honor in Constantinople until its fall to the Ottomans in 1453. They were taken to Cherson in the Crimea, and conveyed secretly by certain merchants whose ship miraculously ran aground in Hele on the Black Sea of Asia Minor. The relics were transferred to the sanctuary of a church, where they emitted a beautiful fragrance and performed all sorts of miracles. 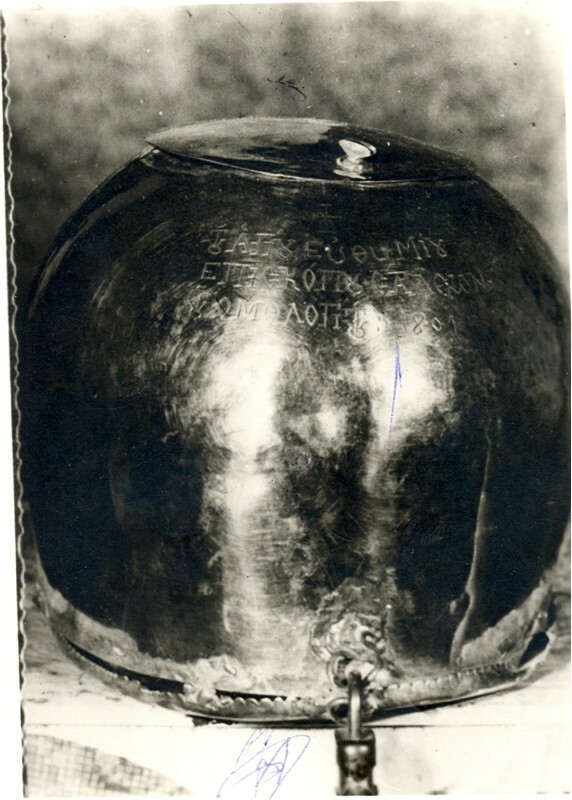 In 1922, when the Greek population of Asia Minor was driven out, the natives of Hele took the skull of the Saint with them. When the refugees arrived in Piraeus, they built a magnificent church dedicated to Saint Euthymios to enshrine his skull, and it is the only church dedicated to this Saint. 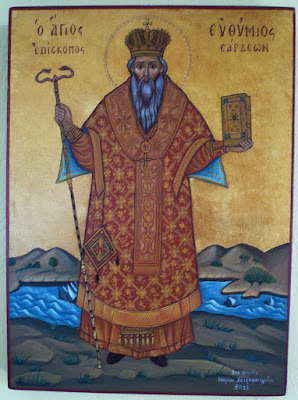 There the Saint is also commemorated since 1964 on the Sunday of the Holy Fathers of the Seventh Ecumenical Synod, which falls between October 11 and 17. Father Gerasimos Mikragiannanites composed a Divine Office in his honor.